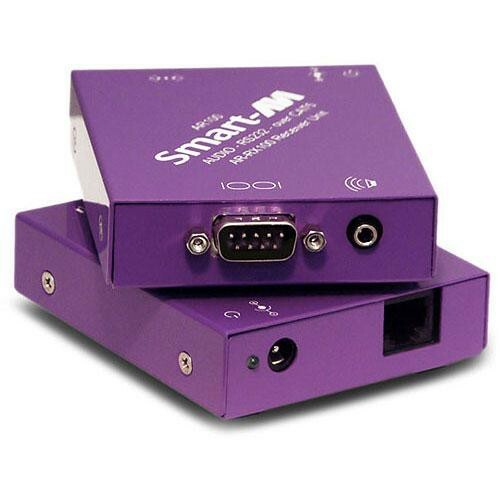 The Smart AVI AR-RX100S is the receive balun intended for the AR-100S RS232 cat5 balun system. RS232 signal and unbalanced audio is sent up to 3300' via cat5 cable. Two baluns provide full duplex, point-to-point signal travel of both video and unbalanced audio. Some of the applications include remote video operation of VCRs, DVD players, cable TV boxes, monitors, touch screens and much more. Box Dimensions (LxWxH) 10.0 x 8.0 x 7.0"